We are delighted to announce that our 2015 Veggie Box Program is ready to start on June 1st. This year, we are offering a medium-sized, mixed veggie box for 3000 yen. Each box will contain about 8 to 12 different vegetables. 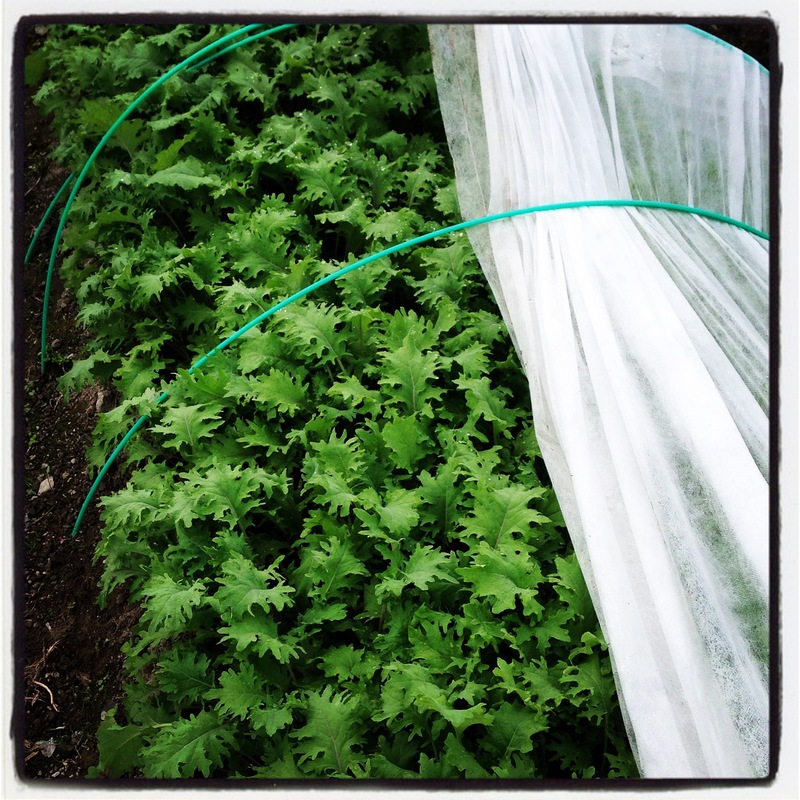 The veggies are chosen and harvested by us and will come in quantities that reflect seasonal availability. Based on customer feedback, our box can supplement the diet of two adults for about a week. If you have a bigger family, we can put the equivalent of two boxes worth of veggies into one larger box for the same shipping fee. We will continue using the Japan Post refrigerated delivery service as it is the cheapest we can find in our rural area. Shipping prices depend on where you live. Deliveries will continue to arrive on Monday evenings, after 8pm. Our box program is designed for flexibility. Some customers reserve weekly, while others buy once per month and skip July while they are away on holidays. The choice is yours. We recommend reserving the dates you want well in advance (a month ahead is advised) to ensure availability, as we have limited space. We reserve on a first come, first serve basis, with a minimum one week’s notice. Our first deliveries will start on Monday, June 1st, then continue every Monday after that until December, or when the snow is too deep to dig out veggies! Payment options will include money transfers at your bank’s ATM or by mail. We will email you instructions when we confirm your order reservation. If you are not already doing so, please following us on Facebook at Hello Farm Organics for frequent updates and photos. We sometimes advertise sales for those interested in bulk orders. For example, last year we sold slightly imperfect tomatoes at a discount for juicing and canning. Please contact us with questions and reservations. Tell a friend who may also be interested in our veggie box program. We would appreciate it! We look forward to hearing from you and sharing our vegetables.